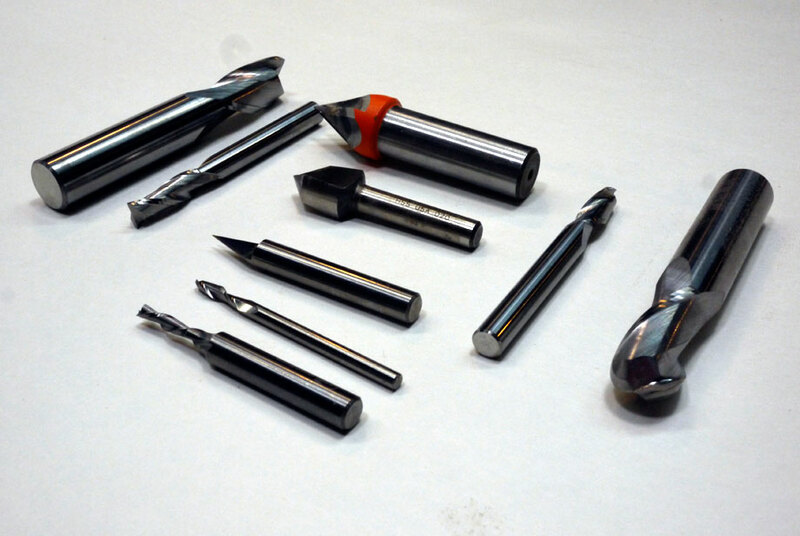 Posted byThe Tinkerer September 3, 2014 September 6, 2014 Posted inToolsLeave a comment on What’s So Special About Engraving Bits? 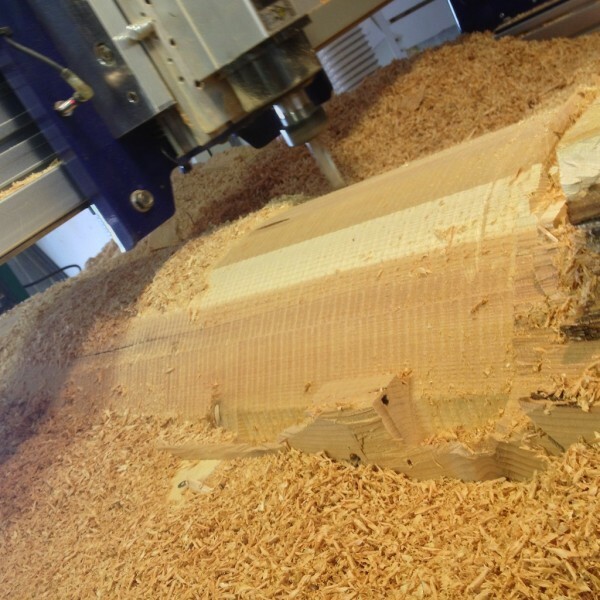 When we think of CNC routers and their capabilities we often go right to the feats of complexity and precision. 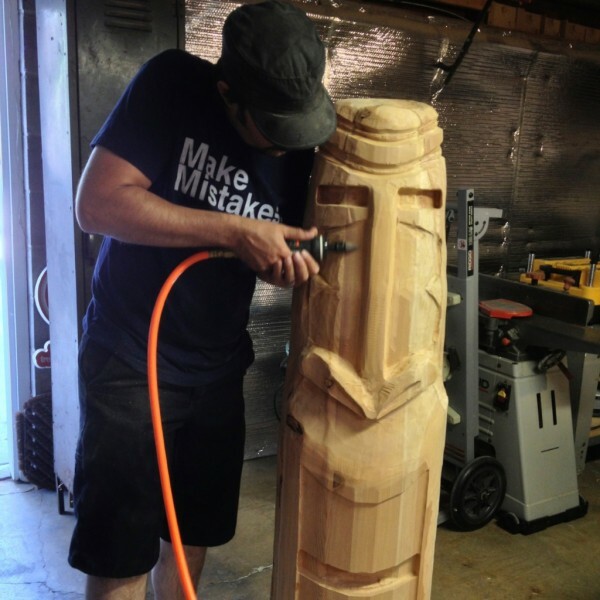 Impossible inlays, hundreds of exact copies of parts, complex shaping and carving, and perfect joints but not everything you use your bot for needs to be so complicated. 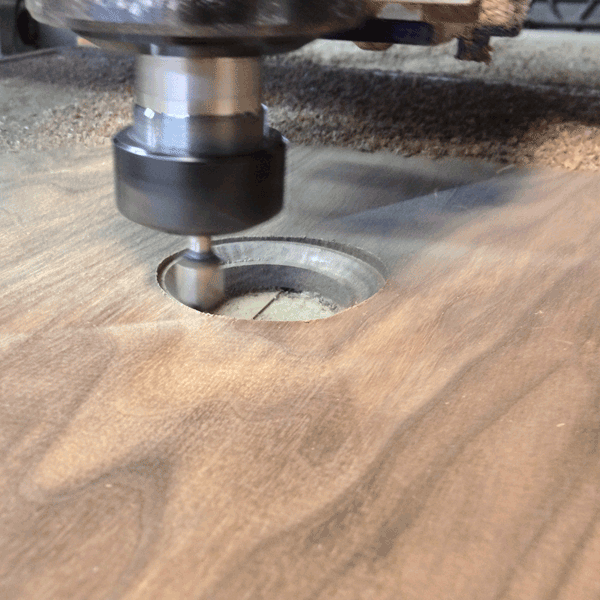 Flattening table tops is by far my favorite “alternate” use for my bot. 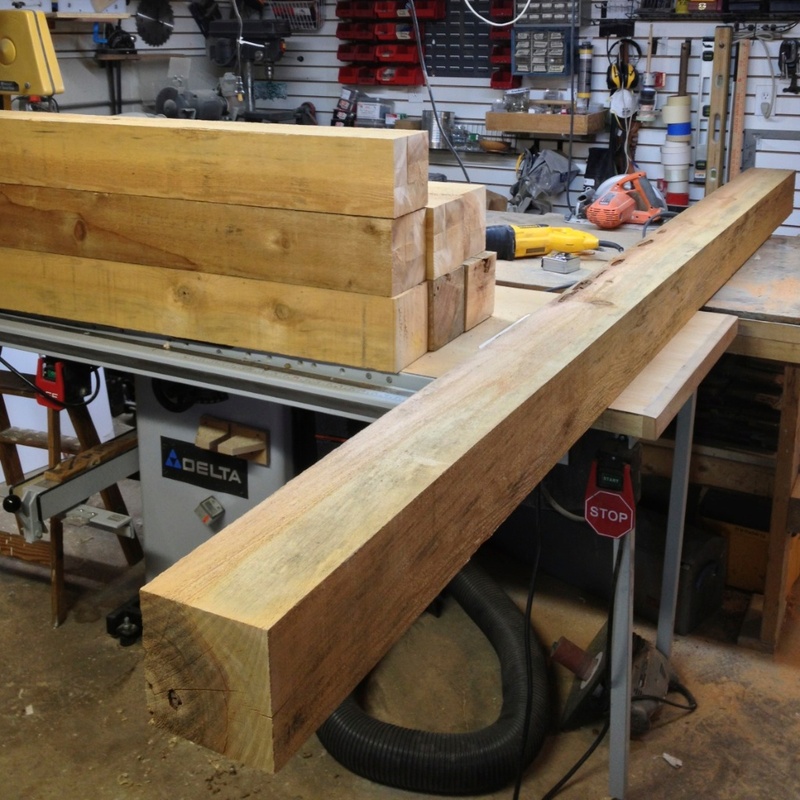 I make a lot of tables and I used to haul the tabletops to a shop to have them flattened on a 4ft belt sander. They would turn out beautifully flat and smooth. 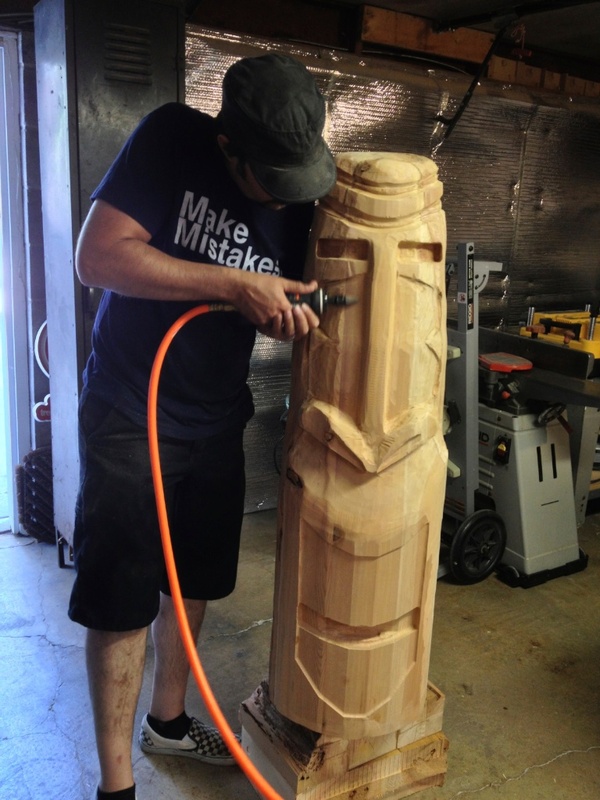 On the other hand it would take time to make the trip and the shop would have at least a 2 day turnaround. 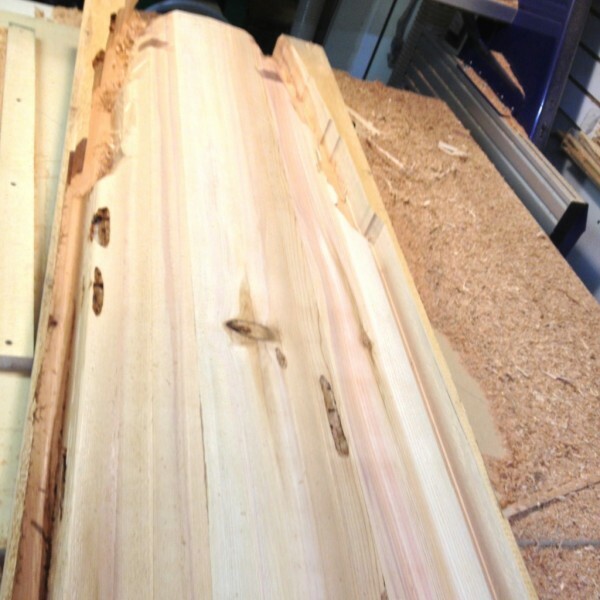 There is also the risk of damaging that gorgeous glue-up in transit. 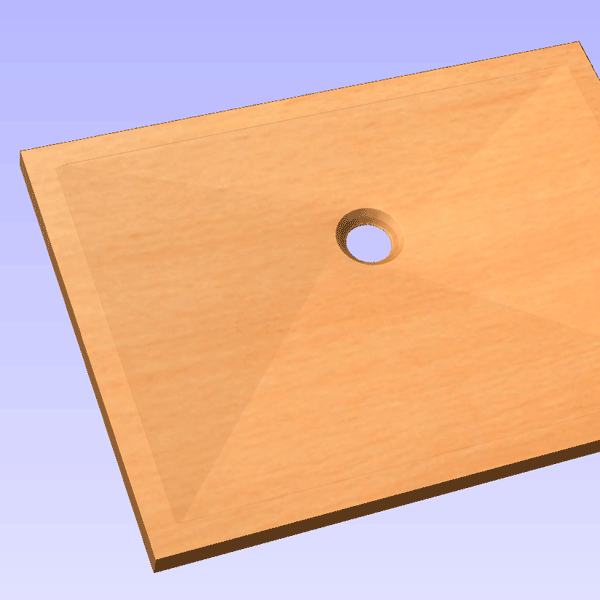 I decided to try to keep the work in my shop so I picked up a nice 2.5″ flycutter and laid a rough sawn board on the table. 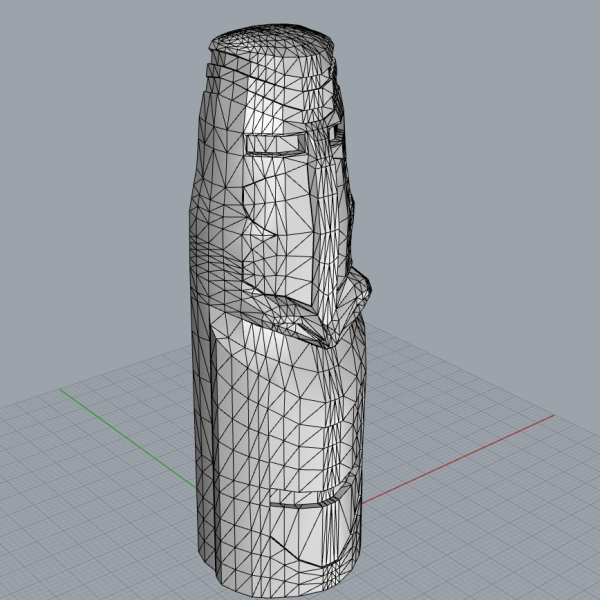 After a little tweaking to make the z axis perfectly perpendicular to the table, I was very happy with the results. I’ve done several tables this way. 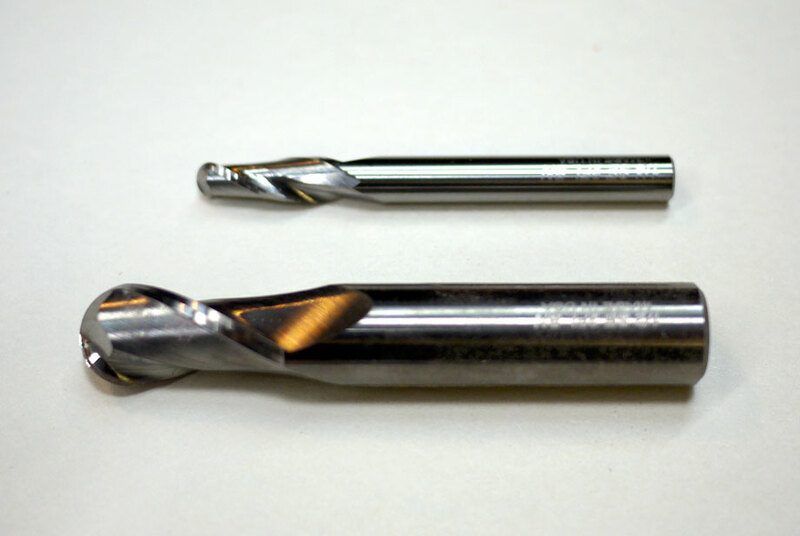 I’ve even experimented with ball-nose bits with large radius ends to create a scalloped finish. 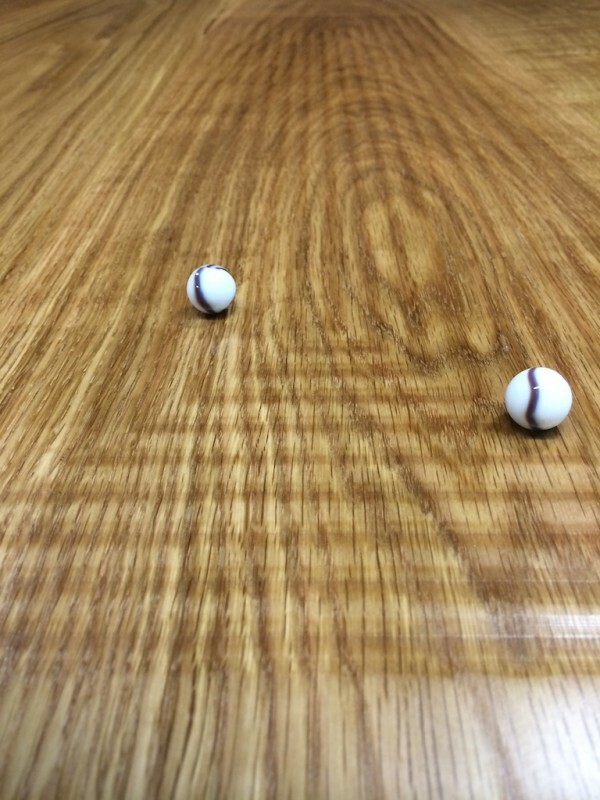 One tip to keep in mind is to pay attention to grain direction and bit rotation. Set your stepover to a small percentage like 10% and be sure you are following the grain of the wood with your cuts. 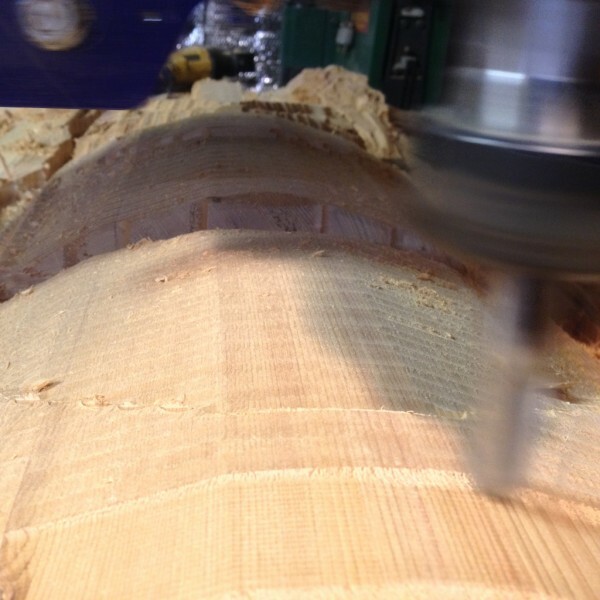 With a 10% stopover you can get very close to cutting only along the grain. Larger stopover settings will result in more cross grain cutting. 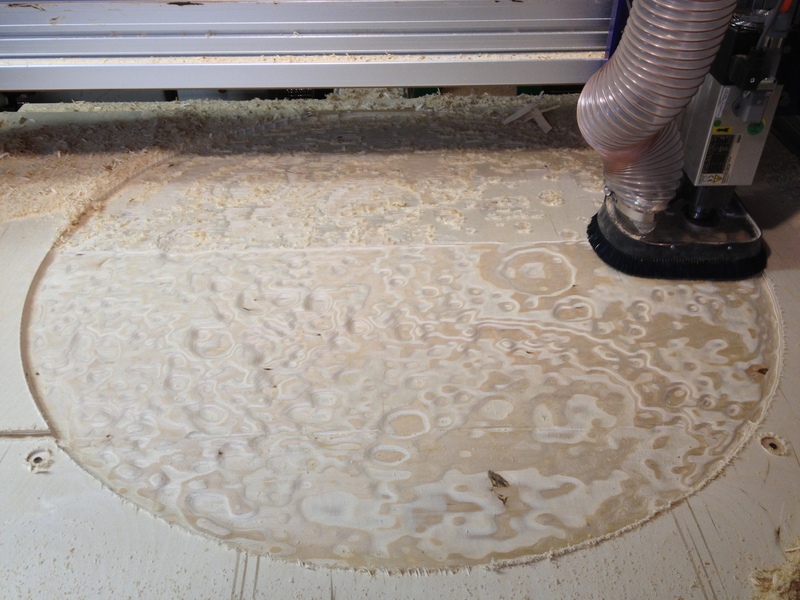 This will leave swirls in your material and require you to spend a lot more time sanding. 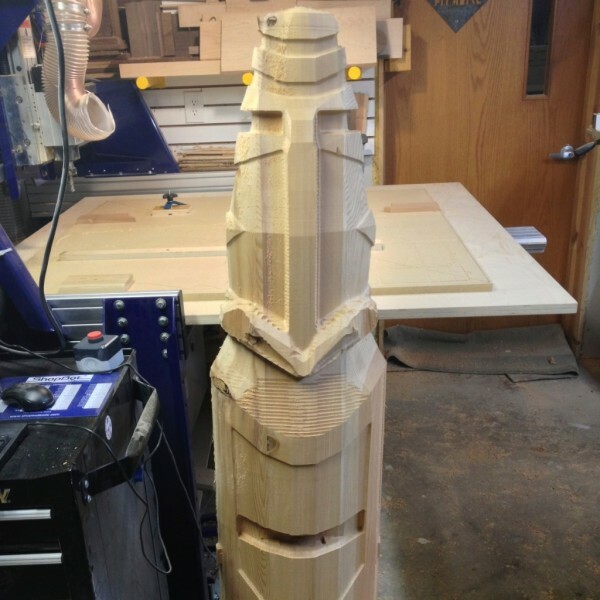 You can accomplish this same thing with smaller bits as well. Give it shot and let me know if you have other “alternate” uses for your ShopBot. If you want to do lettering or detailed sign making, you’ll need to get a v bit. 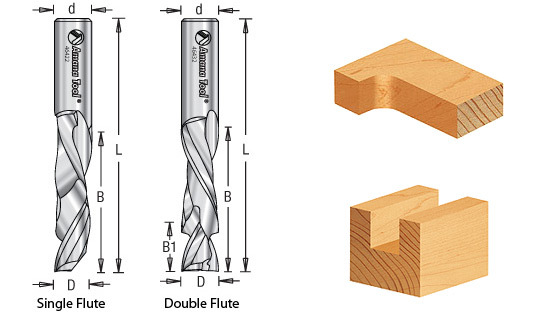 These are sometimes called v-carving bits, v-groove bits, or engraving bits. 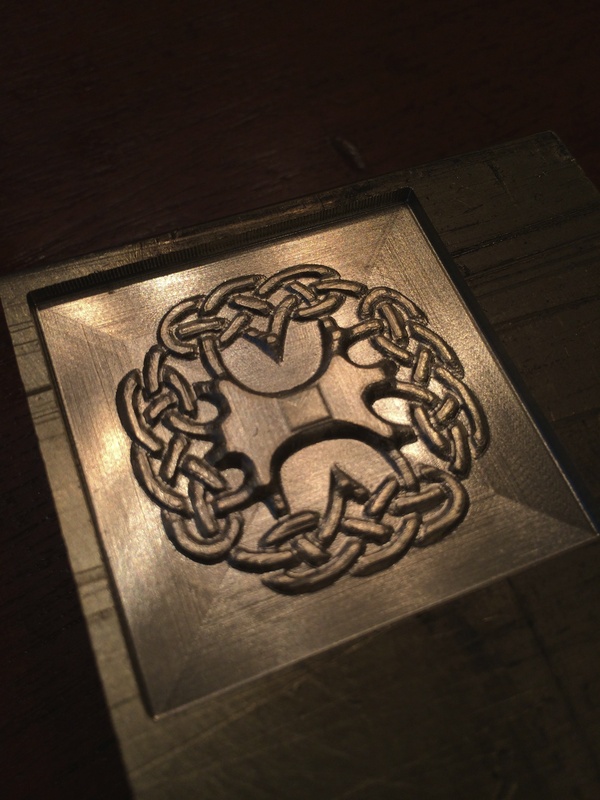 This is the only way to get a sharp grooved bottom on the inside of those roman numerals for your sundial. 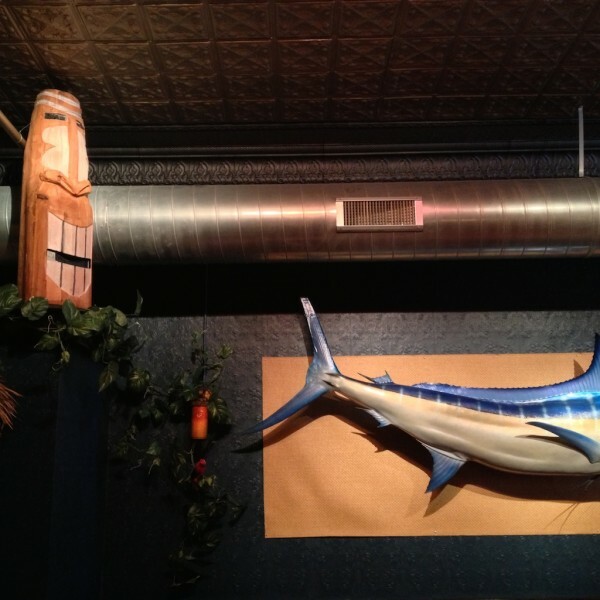 They are available in many sizes and angles. The most common and useful angles in order are 60deg, 90deg, and 30deg. 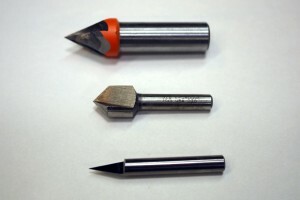 For more detailed information about specific bits, visit some of my favorites, Toolstoday.com, Onsrud.com, and Vortextool.com. Being a tinkerer, my wife often tries to surprise me with tools for gifts. Last Christmas she bought what has become my #1 favorite tool to use when working at the 4×8 CNC router. 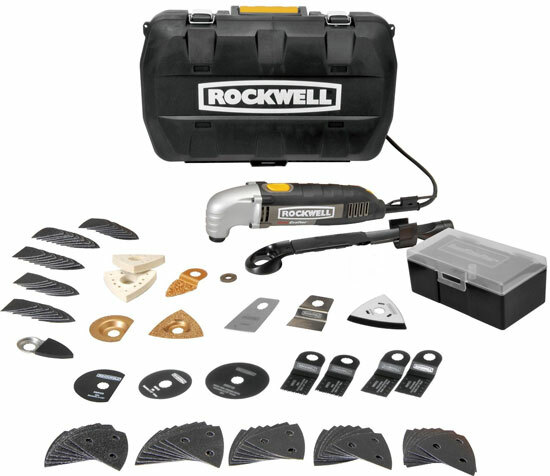 This nifty Rockwell Sonicrafter multitool is great for lots of oddball jobs where other tools fail. For CNC router cuts, I work without a vacuum table so almost all of my parts have tabs to hold them in place while the bot finishes my cuts. Armed with a small cut-off blade, this tool has found a permanent home plugged in next to the ShopBot where it is at the ready to cut through the tabs on all of my work. 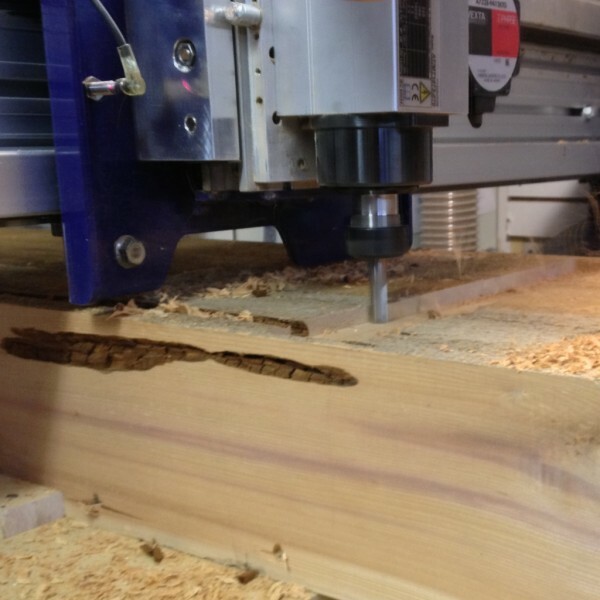 You can flush cut right up to your finished part without having to wrestle a sheet of sliced up plywood hanging off the end of your table. I’ve been married to my wonderful wife for 5 years. The traditional gift for the 5 year anniversary is wood. 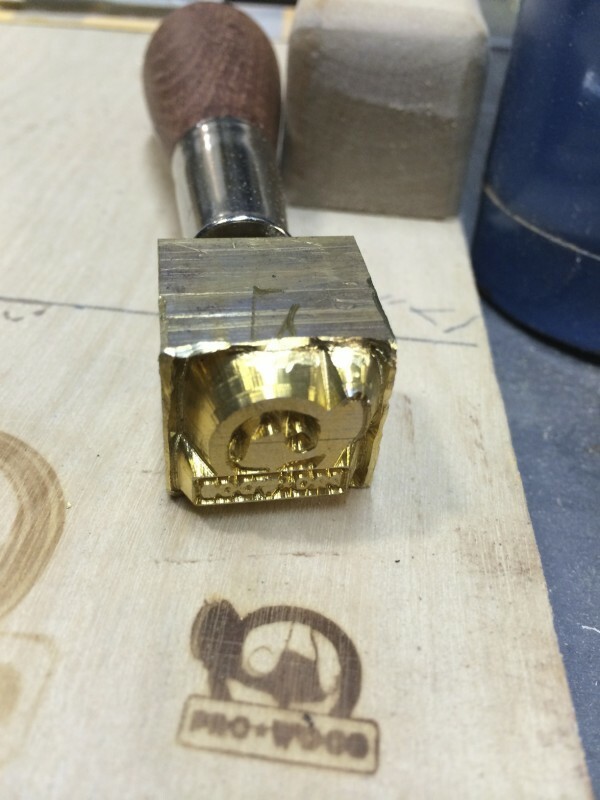 No pressure for a woodworker… Well, she made it easy on me, she asked for the moon. I started by consulting NASA’s website. 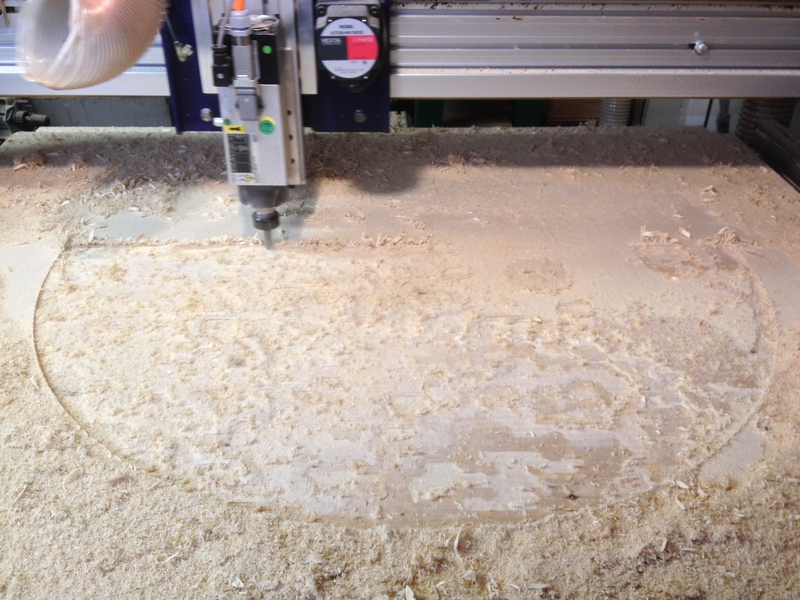 I was in search of topographical data I could translate into toolpaths for the ShopBot. I was in luck when I found the GLD 100 map. I chose the far side of the moon since we otherwise don’t get to see it and I’ve been known to indulge in Pink Floyd. 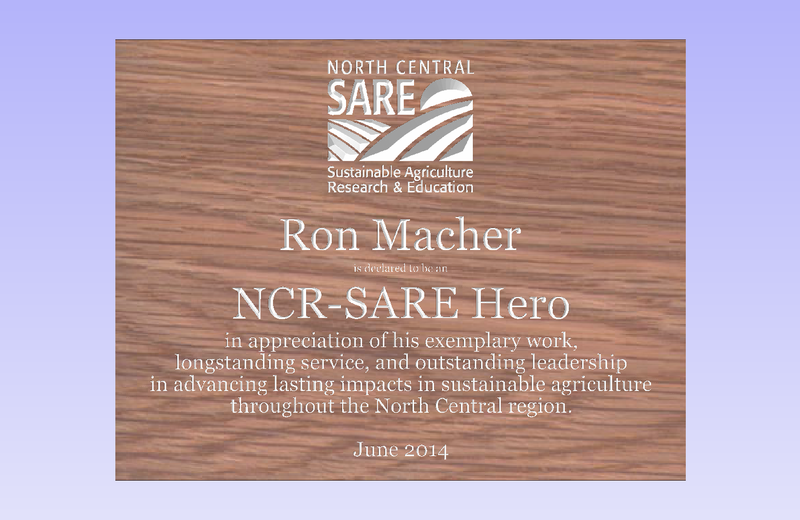 From there my friend Ben Hribar helped me out with some photoshop work. We produced a grayscale image where lower elevations were black and the highest elevations were white. Once that was done, it was on to modeling. 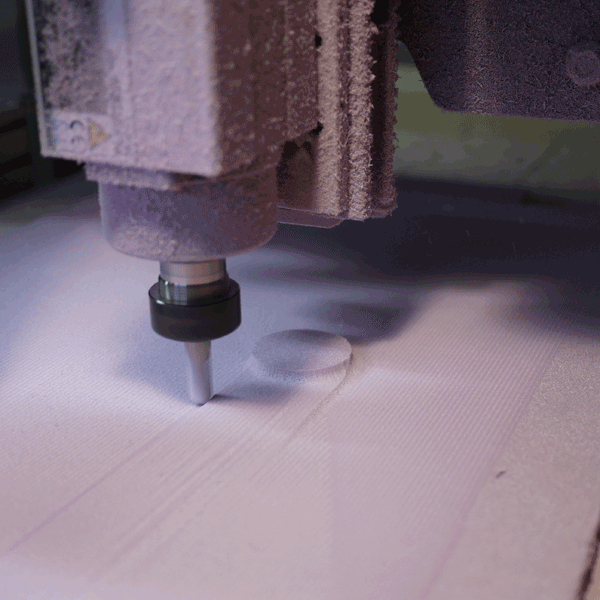 The software I use with the ShopBot has a tool that allows you to import a grayscale image, set a few parameters like material thickness, the range from lowest cut to highest cut, and a few others. 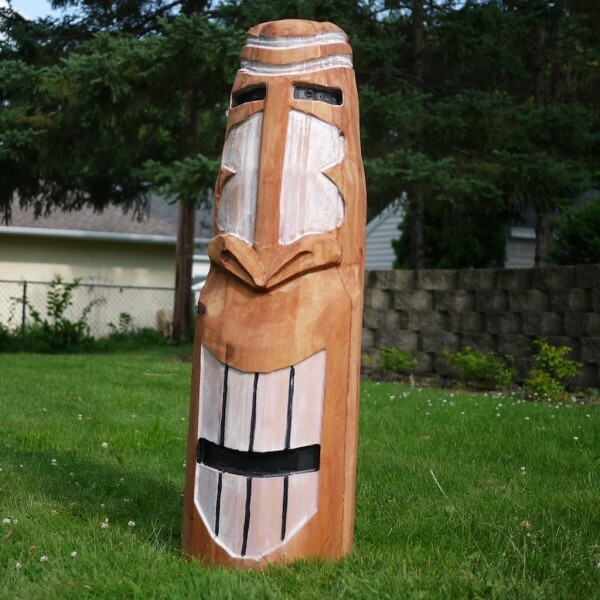 Once the image was processed, I was left with a 3D model ready to carve. 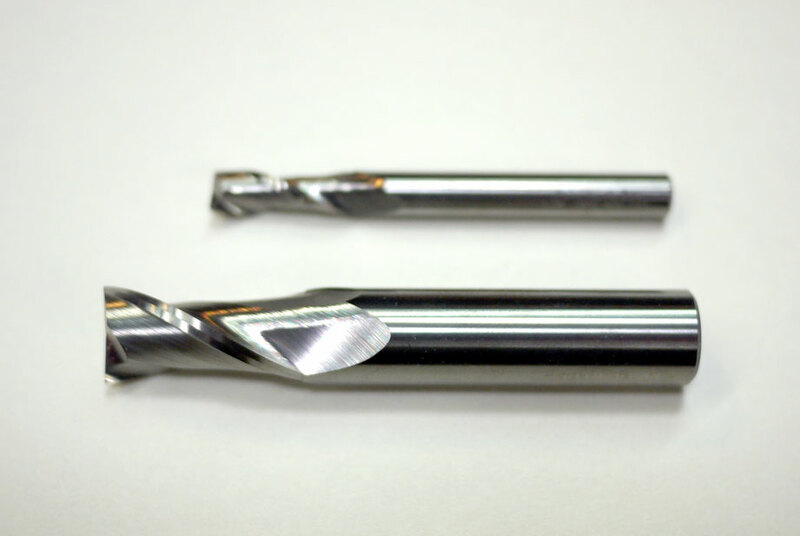 I created a roughing toolpath to remove the bulk of the material with a 1/2″ square endmill. 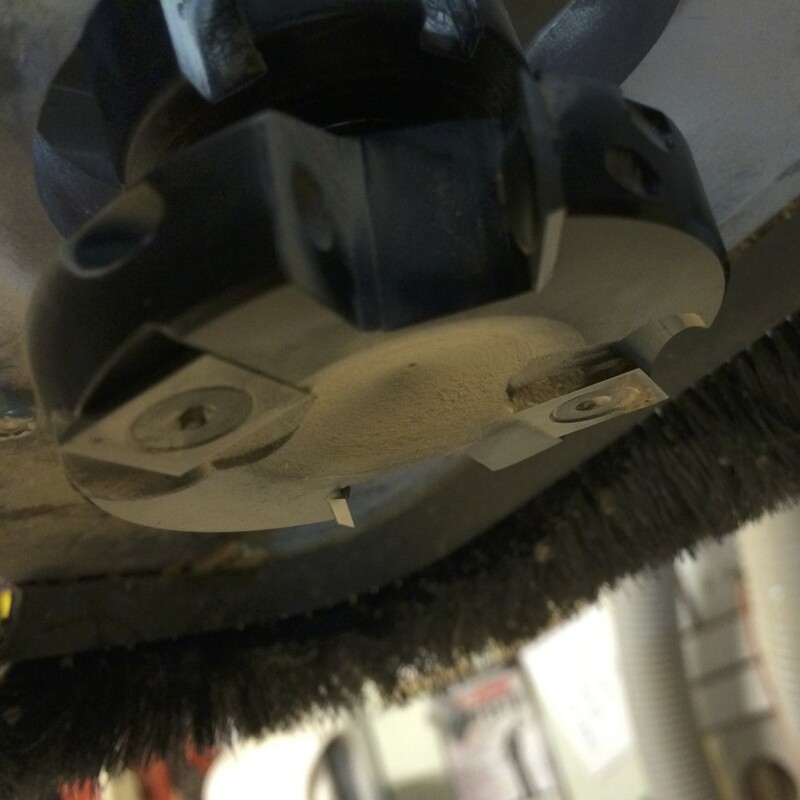 Then I created a finishing toolpath to give a nice finish with a 1/2″ ballnose mill. 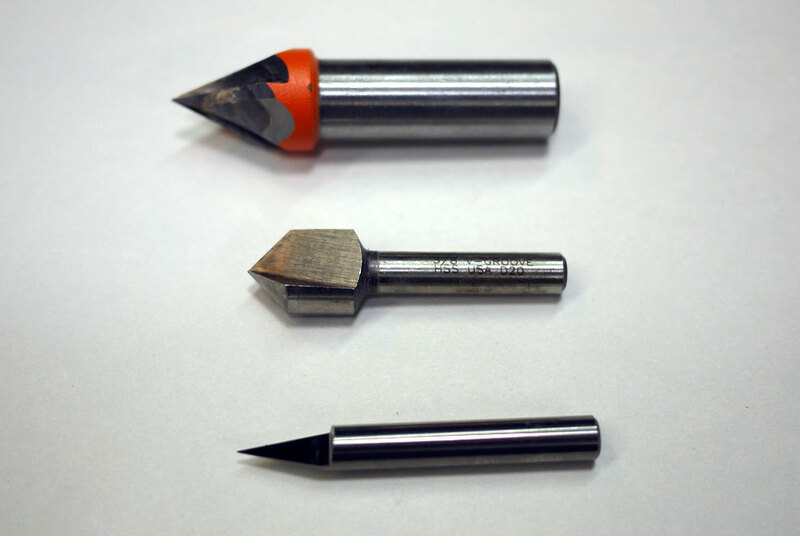 See my post on router bits for more explanation of these. 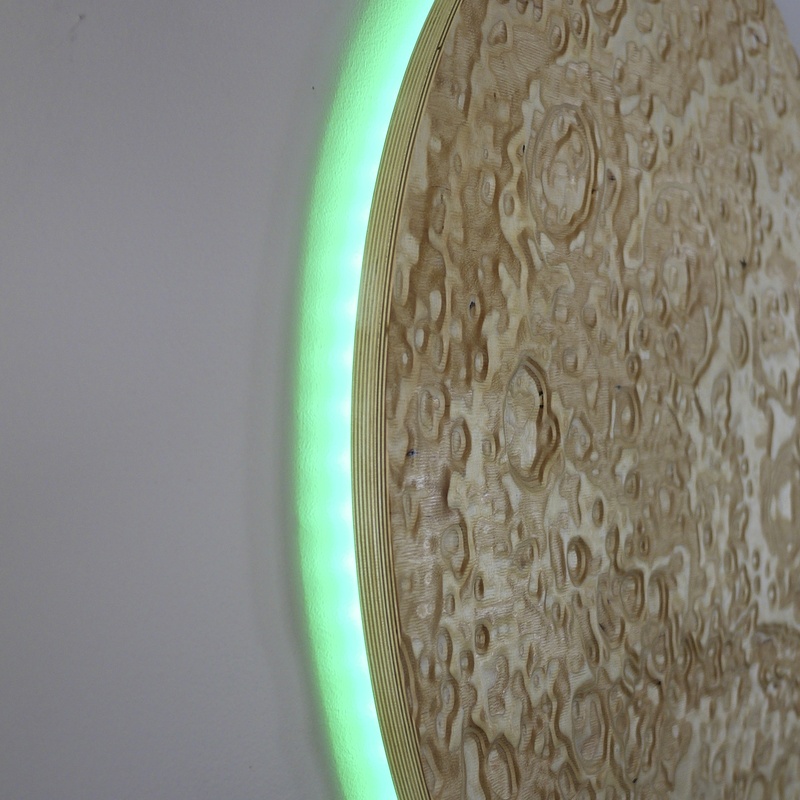 The moon is carved from a single piece of 3/4″ baltic birch plywood. 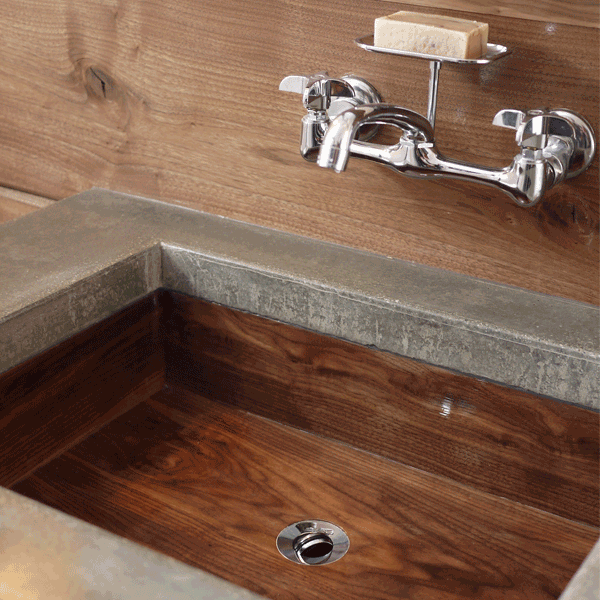 I love the way the alternating layers of dark and light veneers accentuate the topography. I cut a second ring to mount on the back of the moon. 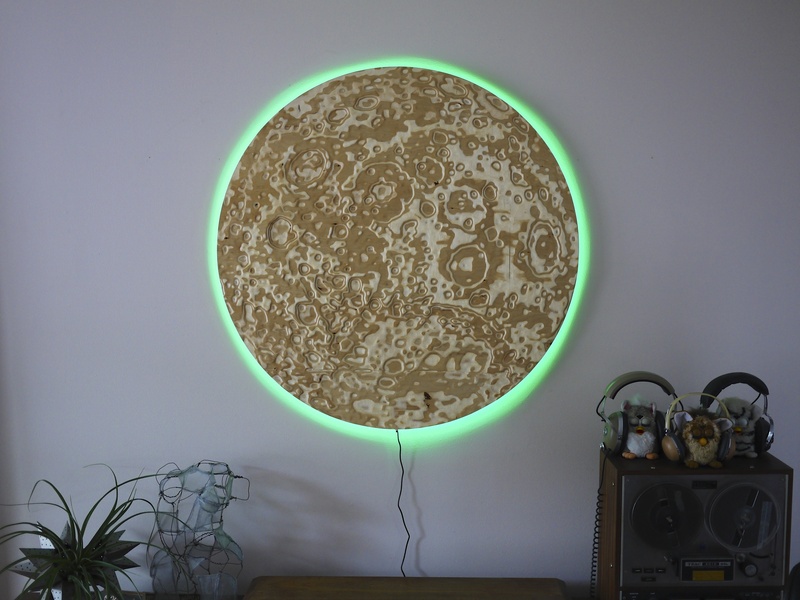 It’s purpose is to provide a lip to hang the moon from, hold 4 – 3/8″ dowels to bring the moon away from the wall, and to accept a strip of LED lights. I chose analog LEDs for the price and simplicity of setting them up. The set I bought came with 16′ of LED tape, a power supply, a controller, and a remote control.